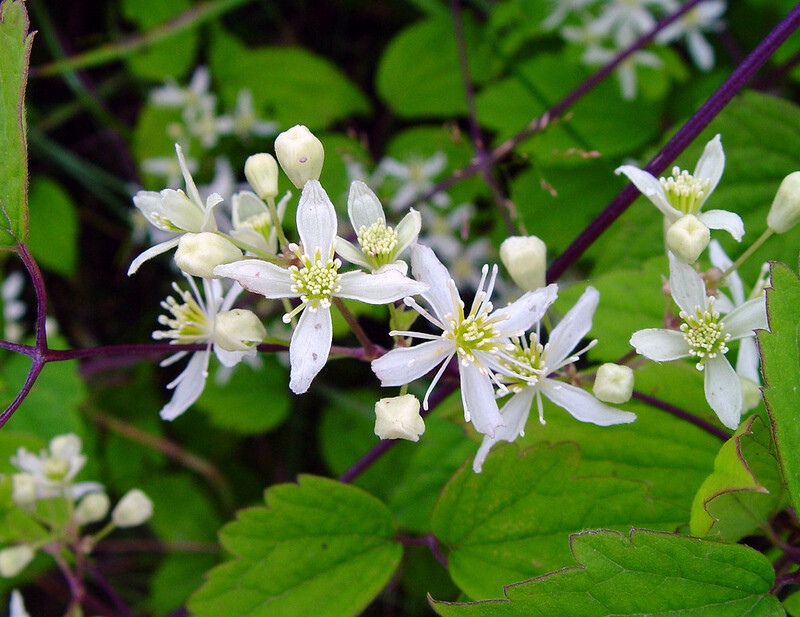 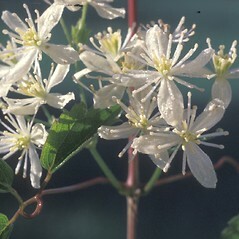 Virginia virgin's-bower is the most common clematis in New England. 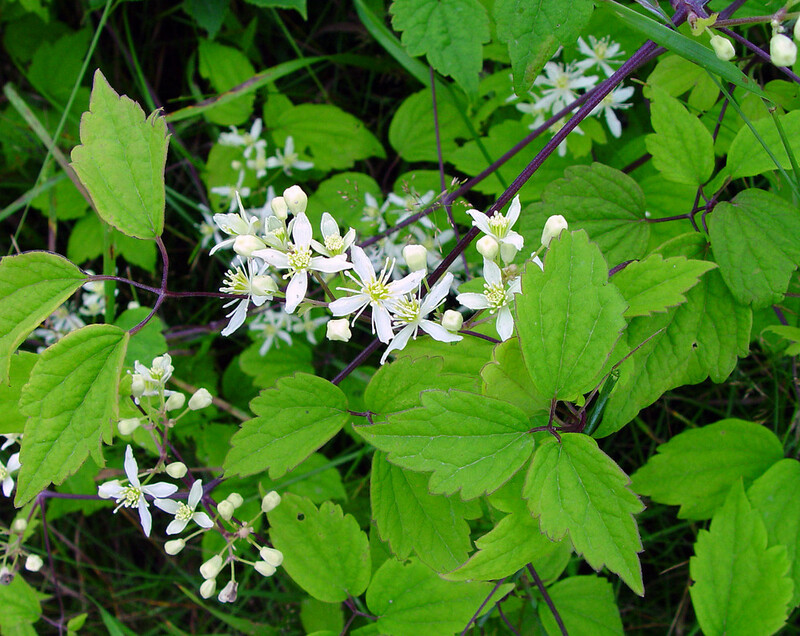 The Cherokee made an infusion of virgin's-bower with milkweed (Asclepias) to treat backache, as well as using it in ceremonial medicine to induce dreaming. 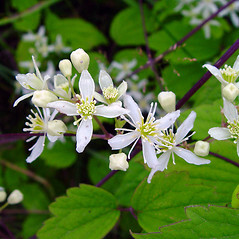 flowers bisexual or sometimes some of them unisexual and then staminate, the bisexual ones with 5-10 carpels, and leaves with 3 or 5 leaflets (vs. C. virginiana, with flowers unisexual, the carpellate ones with 40-70 carpels, and leaves with 3 leaflets). 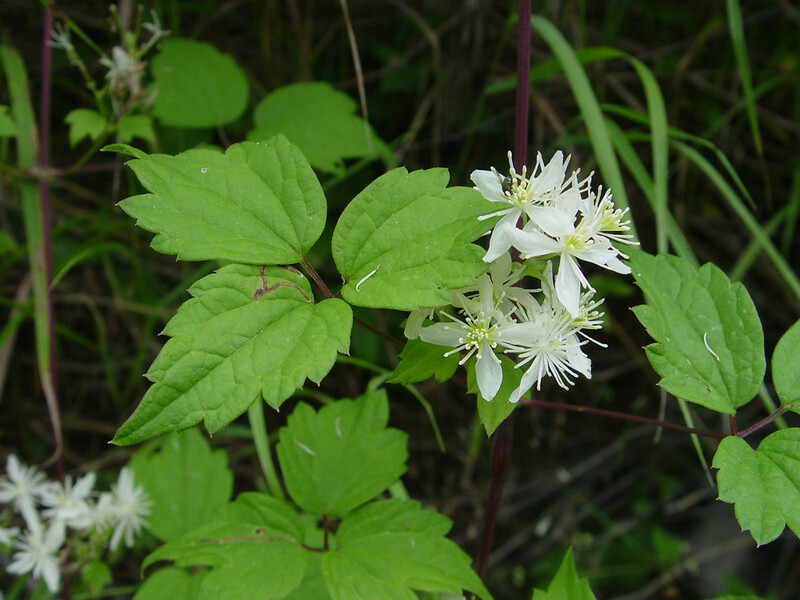 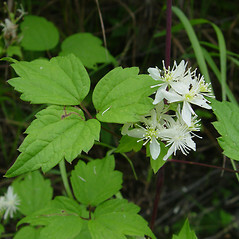 flowers bisexual, or sometimes some of them unisexual and then staminate, and leaves with 3 or 5 leaflets (vs. C. virginiana, with flowers unisexual and leaves with 3 leaflets). 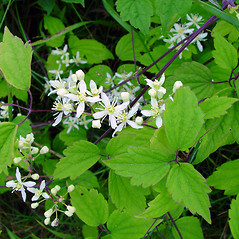 Virginia virgin’s-bower. 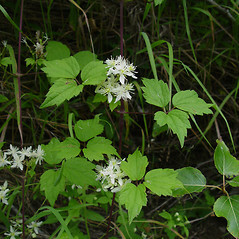 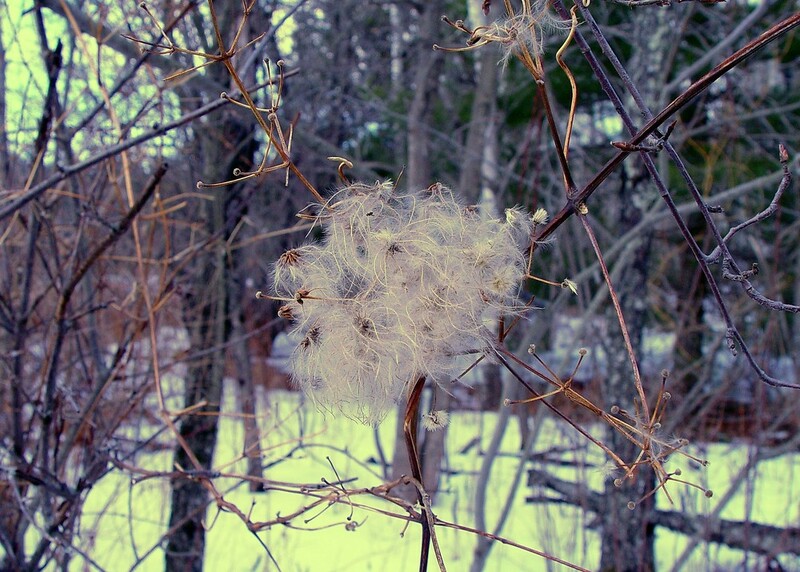 Clematis canadensis P. 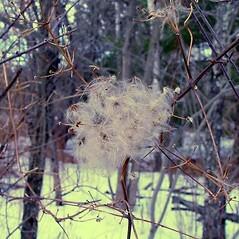 Mill. 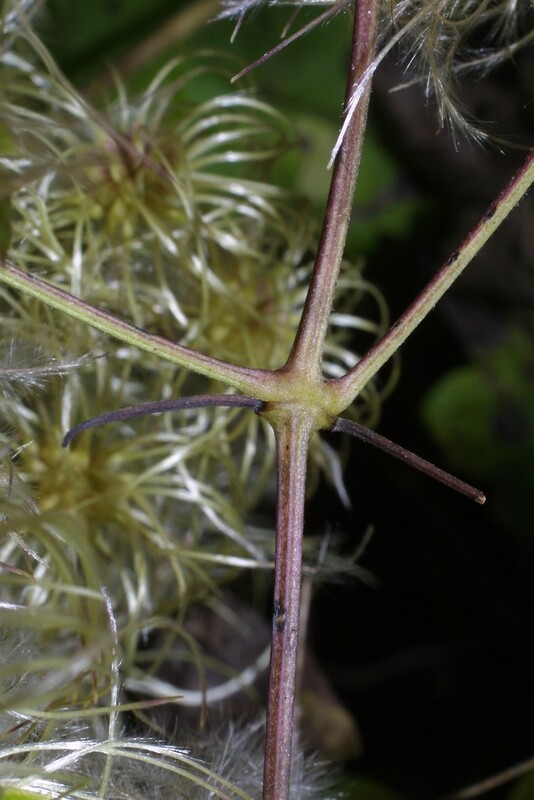 ; C. missouriensis Rydb. 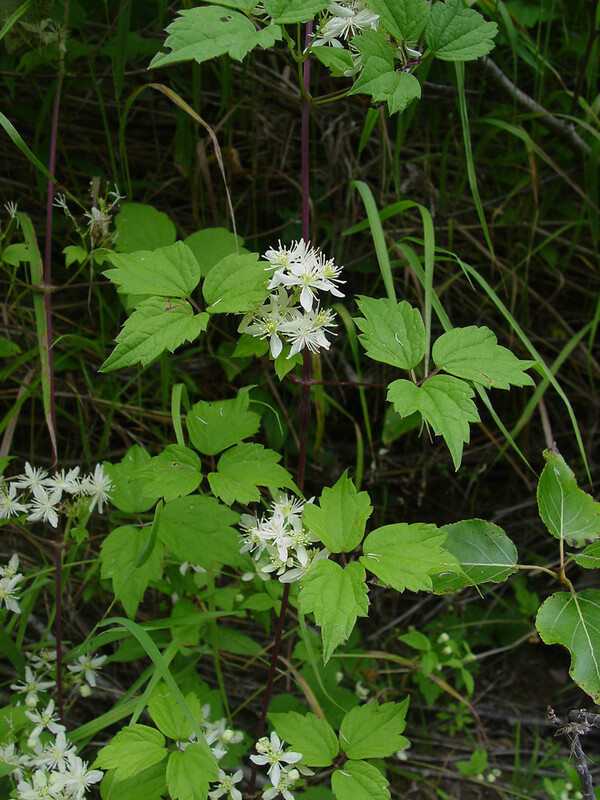 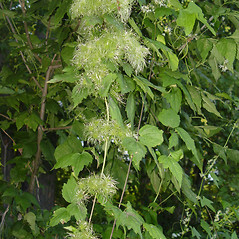 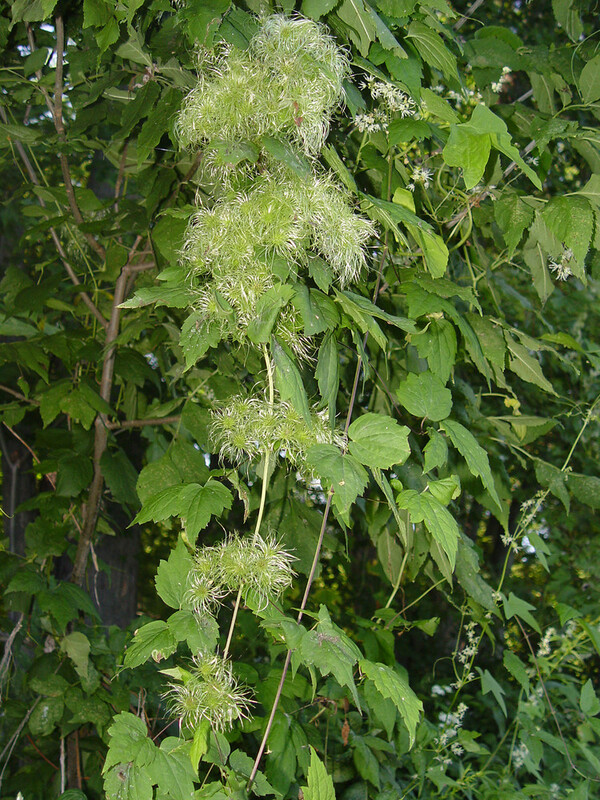 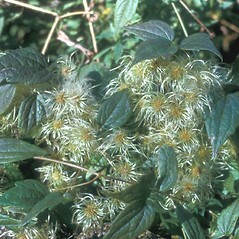 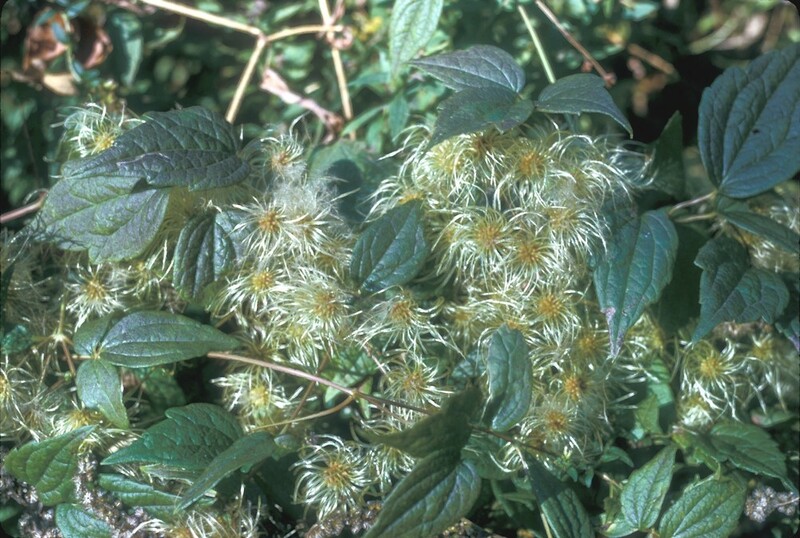 ; C. virginiana L. var. 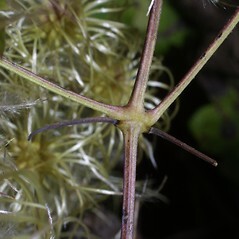 missouriensis (Rydb.) 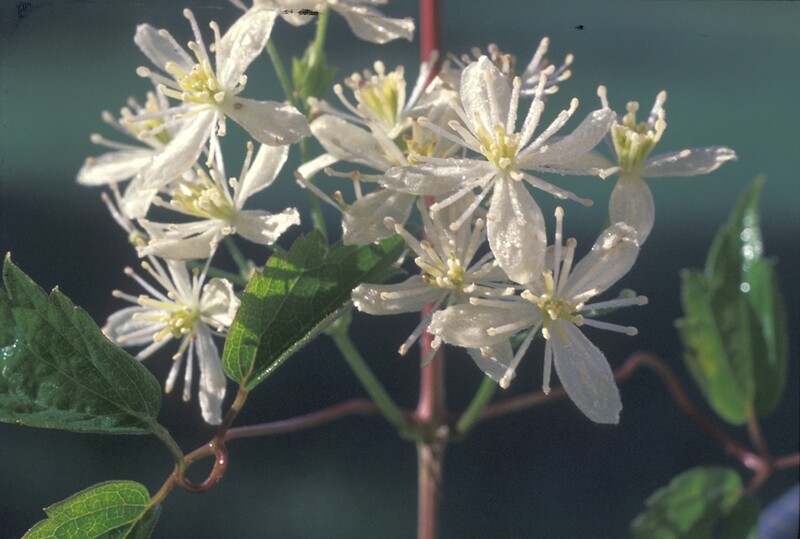 Palmer & Steyermark • CT, MA, ME, NH, RI, VT. Roadsides, forest edges, shrub thickets, river banks, pond shores, swamps.